Brighton Magazine - Patrick McGoohan: Danger Man or Prisoner? Langley had accumulated them during his three-decades as head of the aforementioned Appreciation Society for The Prisoner. Patrick McGoohan : Danger Man or Prisoner? - is available for £15.49 (post free) from www.tomahawkpress.com - or via all good booksellers. Email: sales@gazellebooks.co.uk for more info. 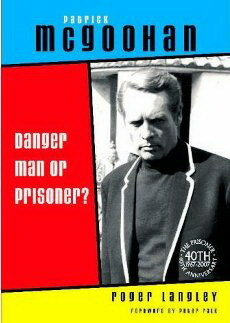 Buy Patrick McGoohan: Danger Man or Prisoner?